Tutti Designs: Live Love Golf! Laurie here from Stamping Up North. 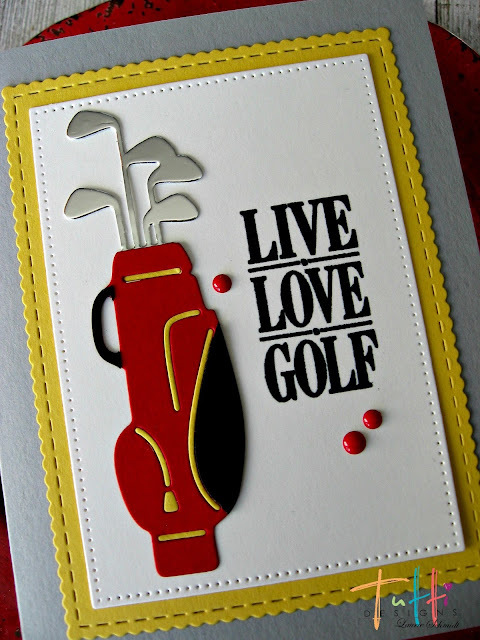 Today I'm sharing a Birthday card I made for a golf lover in my family. It won't be long up north and the golf courses will be open and busy! 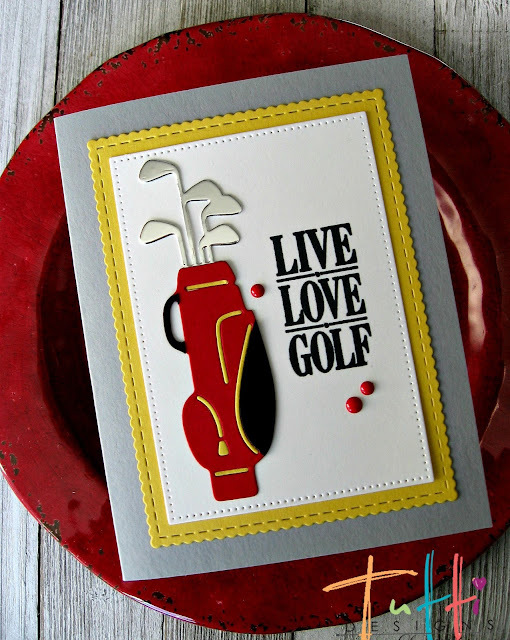 I used Tutti Designs Golf Bag...what an AWESOME die! One of my very fave Tutti dies. I cut it out in black, red and yellow to make the bag, and then again in silver foil for the clubs. I cut out a dotted rectangle, stamped on the sentiment and adhered the bag. Then I added some enamel dots. I adhered that onto a scalloped stitched rectangle. GREAT job ... I love this! That golf bag is awesome! YOU GO GIRL!! This is really cute! Great color choices. I need this die with so many golfers in this house! Super class card!! Laurie, this is awesome! 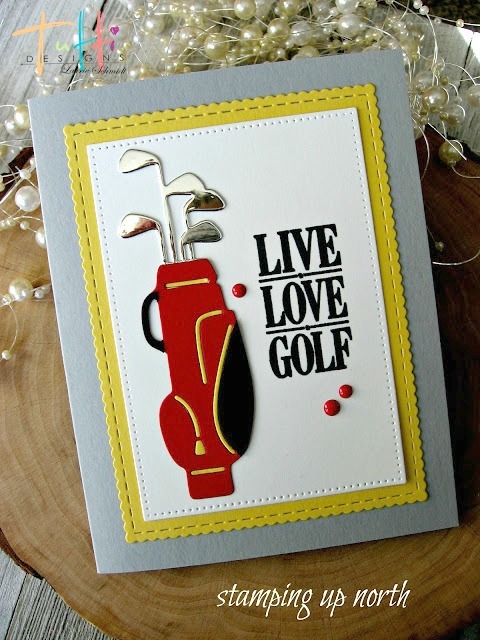 My hubby is an avid golfer and he would love this. I need to check into this die cut. These are all so wonderful! Thanks for sharing so many ideas! !